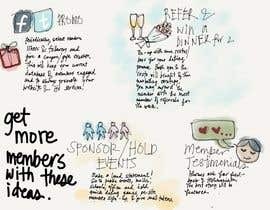 How to get a lot of members to my dating website? I'm in the working phase where I need to get more and more visitors/membes to my website which is a global website for online dating with a lot of fun features. 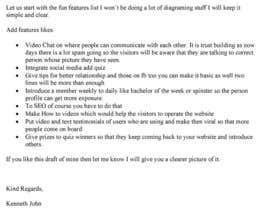 The worker who have the most interesting idea of how I can get many members to my website will win this competition and get the prize money. 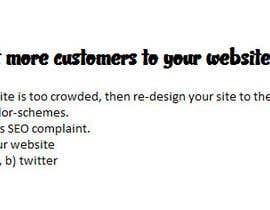 Hi i will give some more idea and help you to build website.review it and get back if you like it. You could contact popular youtubers and bloggers and tell them about your company. Give them free access to your site and ask them to make a review in return. You could also give them a few free memberships to give out to their viewers/readers or a discount code. One of the most overlooked places to look for advertising is your local media outlets in your own community. Approach your town's newspapers and local tv and radio stations and tell them about the company you're working on. They love to write about local businesses and it will bring awareness to your community and from them word will spread as well. It would be helpful if you could give more information about your company and why it is unique.